Most small and mid-sized business owners associate the financial disciplines of forecasting and budgeting with the profit and loss statement (or P&L). In addition to the P&L, forecasting cash flow is vital, and including a balance sheet makes the projection complete. This exercise is essential for any business that wishes to obtain bank financing. However, many owners take a hands-off approach to forecasting and budgeting by delegating it to their controller or finance department. This can be a big mistake because without input from the owner and executive team, the controller or finance employee responsible for preparing the forecast will be working at a serious disadvantage. He or she likely won’t be privy to key assumptions due to a lack of input from the key individuals who are running the business. Effective forecasting relies on a collaborative effort between the owner and executive team and the forecaster. During this process, they will discuss the purpose of the forecast and how it is to be used. For example, a forecast that is used in the creation of a new business or with an early-stage company will be limited to scarce information because there is no history to draw from. Therefore, the forecaster must rely more on the owner’s and executives’ insights. Conversely, a forecast done for internal budgeting purposes for a well-established existing business can draw on historical data and trends. It will likely be more accurate because it is based on real historical information. § Where your company’s products and services are in their lifecycle. § How your company’s products and services compare to your competitors. 1. Qualitative Forecasting Techniques — This forecast is based on judgment and opinion, such as executive opinions, consumer surveys and sales force polling. The owner’s and executives’ opinions are the key factors that should be considered in the preparation of this type of forecast. 2. Quantitative or Time Series Forecasting Analysis —With this method, the forecaster may need minimal input from the business owner and executive team. This type of forecast is most often used for long-term forecasting. 3. Causal Forecasting Models — These forecasts use specific information about the cause and effect relationships between several variables. This is the most complex forecasting method — both the owner’s and executives’ opinions and historical data are crucial for the preparation of the forecast. § It creates a roadmap and sense of direction for the business that helps improve decision-making. § It provides a basis to which actual results can be compared while enabling adjustments based on variances or changed conditions. § It helps businesses prepare for seasonal changes so they can anticipate product demand and ensure that proper inventory levels are maintained. § It encourages owners to think about the company’s future and where it is headed. § It is required in order to obtain business financing, especially for startup and early stage companies. An outsourced CFO services provider can offer valuable assistance in the forecasting and budgeting process. This professional will evaluate your operations and business needs and devise a forecasting strategy using the most cost effective and efficient method to meet your company’s strategic goals and objectives. Many owners take a hands-off approach to forecasting and budgeting by delegating it to their controller or finance department. This can be a big mistake because without input from the owner and executive team, the forecaster will be working at a serious disadvantage. Effective forecasting relies on a collaborative effort between the owner and executive team and the forecaster, and the specific forecasting method used will depend on the objectives for making the forecast. 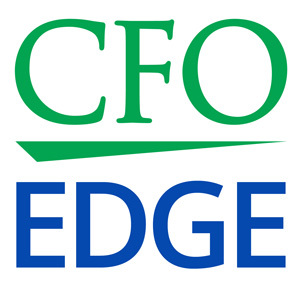 An outsourced CFO can help with the forecasting and budgeting process.